So by now you have heard about how Joseph Schooling won Singapore’s first Olympic gold medal in Rio 2016, and so you suddenly become highly motivated to be more active in your sporting endeavours. 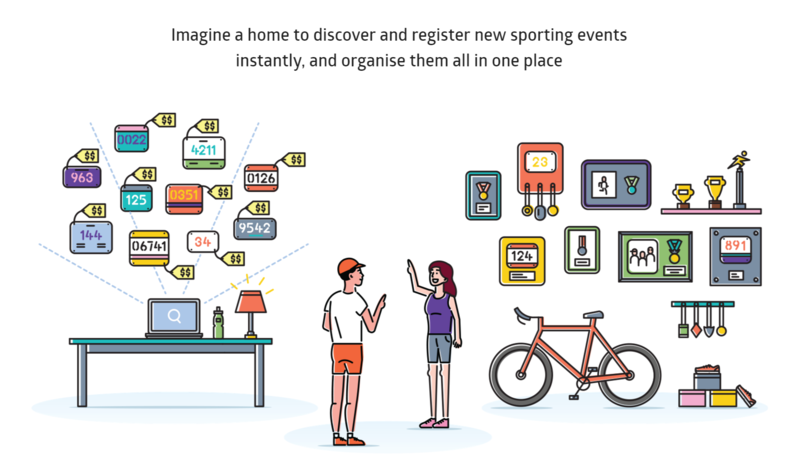 However, once you actually get down to joining a public sporting event, you have trouble finding any, even though on social media, you see your friends going for some kind of run or marathon every other weekend. So here’s Spacebib. 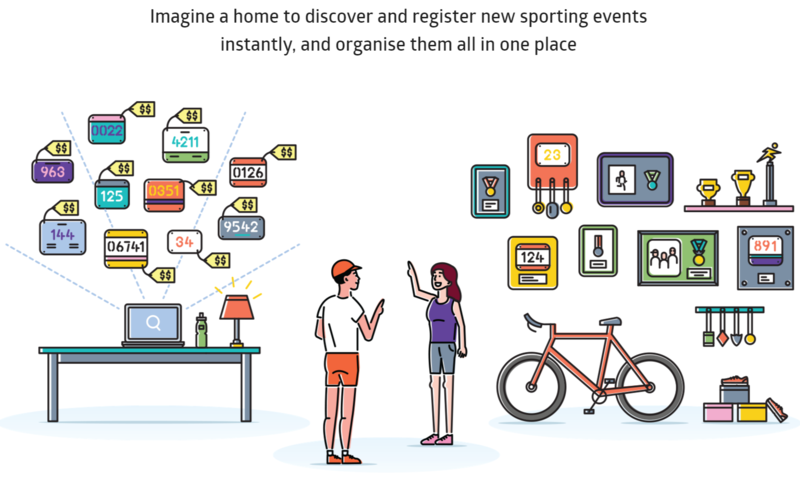 Officially launched just last month, this startup was born to help people in the actual participation of their sport and who are constantly frustrated by the lack of information about mass sporting events, as well as the restrictions faced when trying to register when wanting to take part in them. 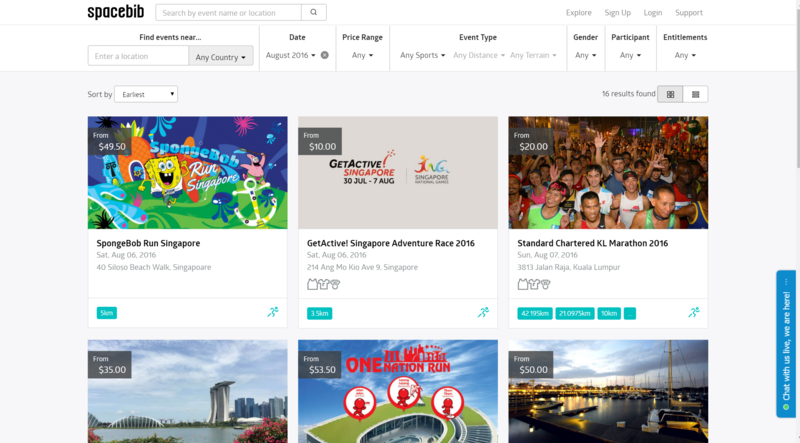 Co-founded by Terrance Huang, Spacebib seeks to be the solution should you encounter difficulties to find events to participate in and to also overcome problems and restrictions when registering. If his name rings a bell, that’s because Terrance is also the co-founder of RunSociety. 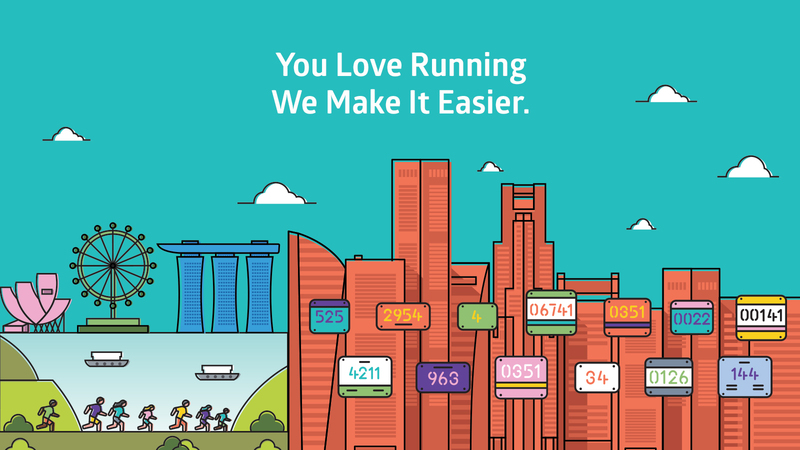 Since 2011, RunSociety has grown to be the online publication that Singaporeans can head to for all things related to runs, from lifestyle tips to scientific articles, or info on the best running spots in the world. What they do not have is, an events calendar for run events, and neither are there any on the web locally, a fact echoed by their supporters. Another sentiment often voiced against is also one where the internet shopping generation can greatly identify with: the need for multiple accounts for multiple websites. The same can be said for runs. At this moment you have to sign up individually at each event’s website, and each time you have to key in your details over and over again. What Spacebib is offering to the runner is convenience. With your one Spacebib account, you can now sign up for multiple mass events with that same account. 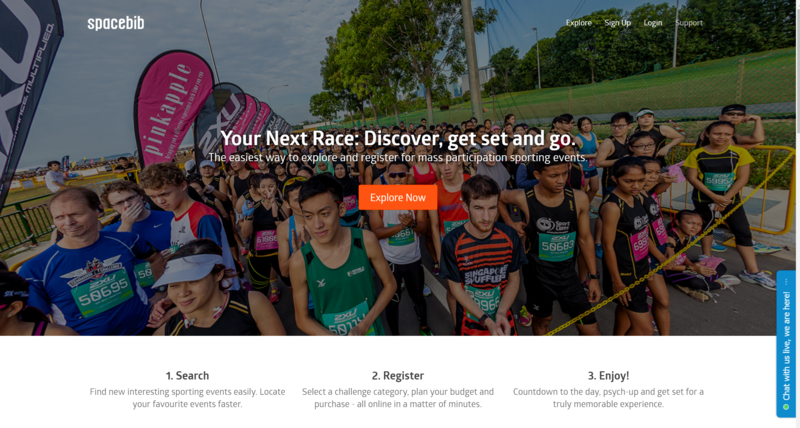 The website itself is quite self explanatory with steps to guide you along the way, from the signing up to then exploring the events that you would want to register for. 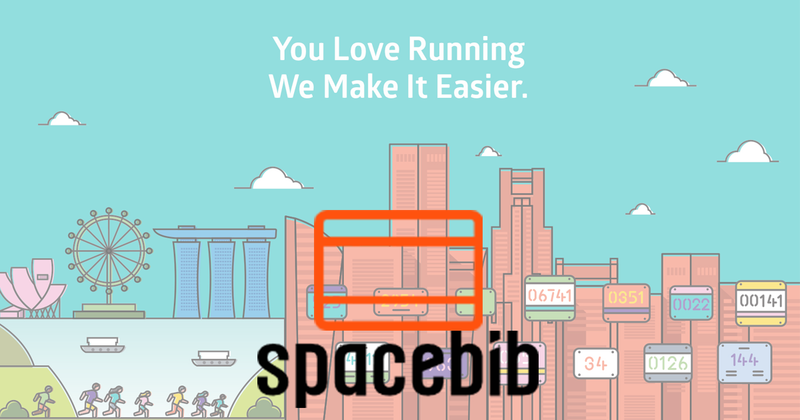 Spacebib aims to get you up and running on their website in three simple steps. After creating your account simply navigate your way to their events list, select one that you like to enter and register for it, and finally, just wait for the day it comes. 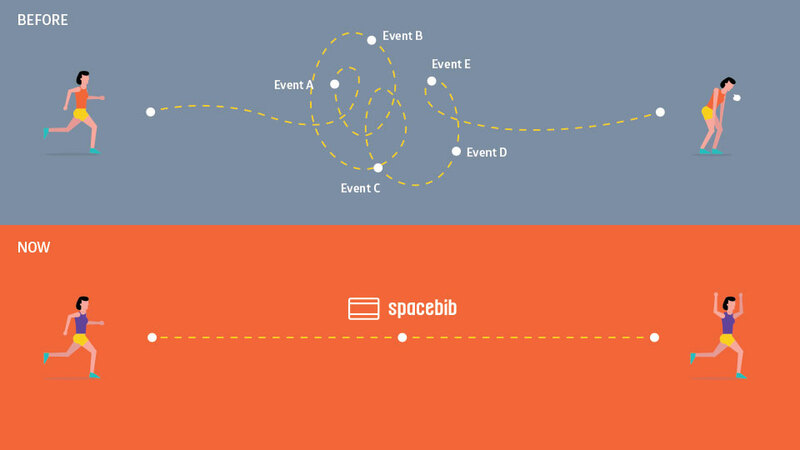 There’s also three main types of events that Spacebib is currently aiming at. 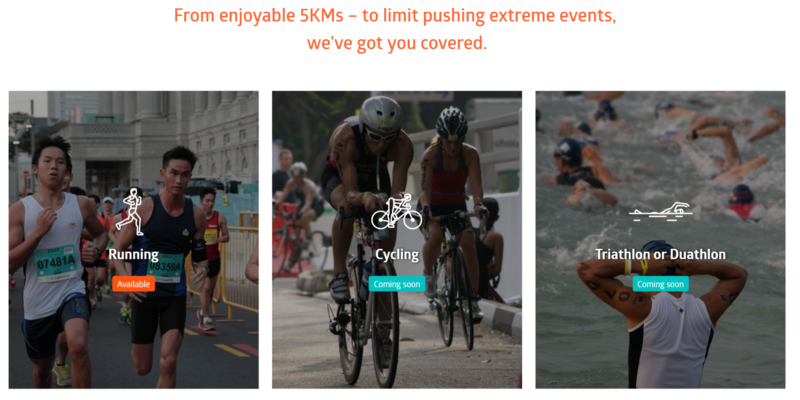 They are Running, Cycling and Biathlons/Triathlons, all of which are common mass sporting events available in Singapore, but you hardly hear much publicity for them. Bibs are not limited by sport, and every mass sporting event will have participants wearing them, from your local football competitions, to rock climbing. With Singapore also moving towards a car-lite country, cycling could soon take off too in the not-too-distant future. However a quick glance over what’s available right now only shows runs. That’s expected since they are gunning for the runner crowds which are streaming in courtesy of their sister site RunSociety. Hopefully they will be a more diverse set of events in the months to come, but in the meantime, if you are looking for a marathon or a fun run to participate in, there’s plenty over here. With the many types of runs available, and the overwhelming amount of people who seek them, having the focus on them currently seems like a logical choice, and they are currently concentrating on first creating a sizable community through their strengths before venturing into other sports. 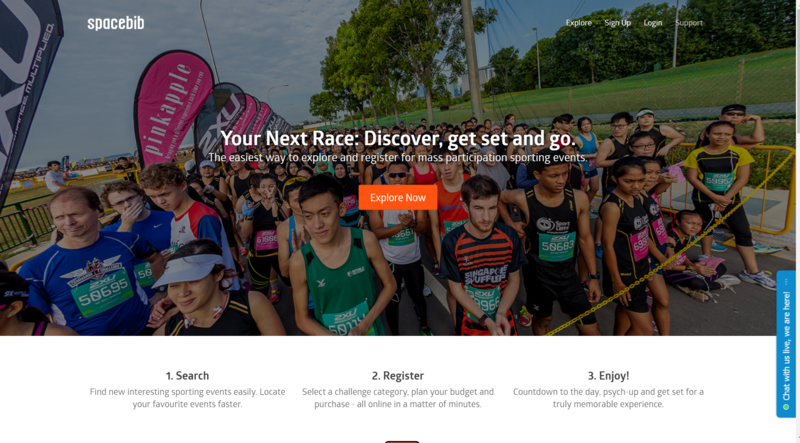 From your fun runs that are based off of movies and cartoons enticing the casual runners, to the more serious marathons held annually by banks, as well as several sportswear brands, they all can be found on Spacebib. They currently have a launch promotion too if that interests you. 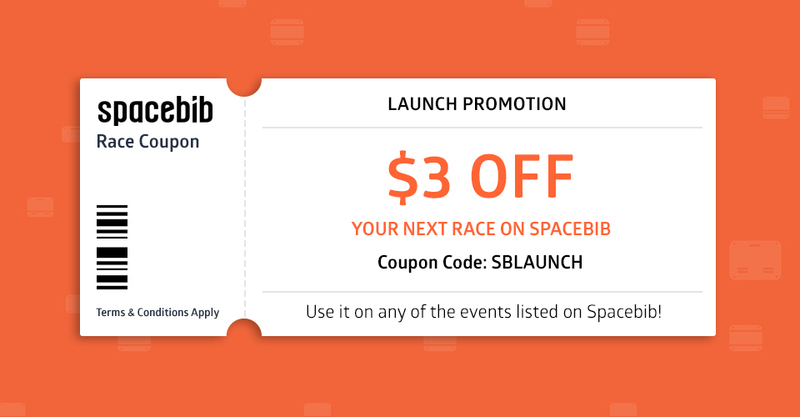 Lace up your running shoes because you will need them once you enter Spacebib.